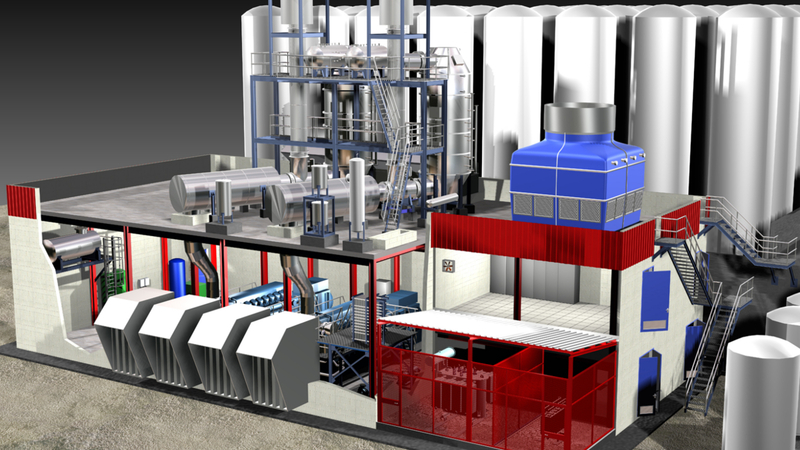 The cogeneration plant is based on a simple cycle, with a 6.5 MW fuel oil engine, and a heat recovery steam generator (HRSG) that produces low pressure steam (approximately 3.2 t/h of steam at 7 bar(g)) using the heat contained in the exhaust gases from the engine. 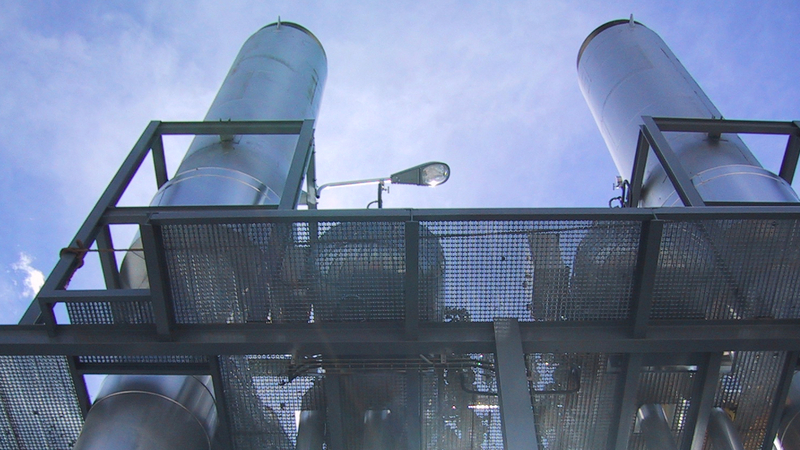 There is also a hot water generation at 85ºC (consumed in the production process) using the heat contained in the high temperature cooling circuit of the engine. 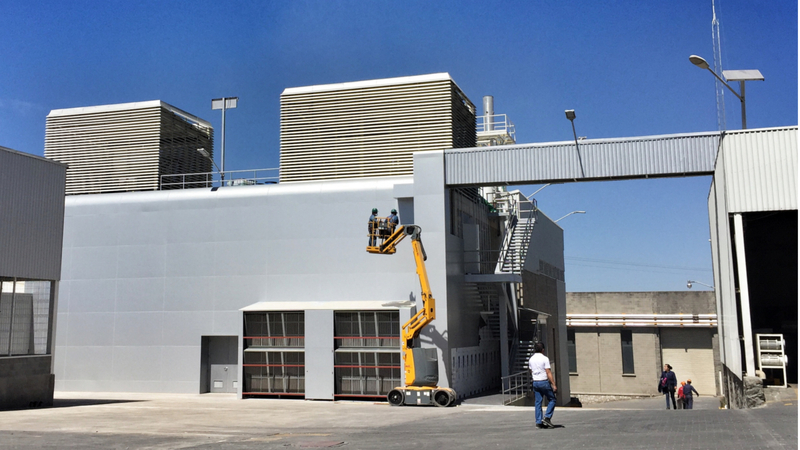 All the steam produced is consumed by COELIMA, which also has conventional boilers that supply the additional steam required (3.5 t/h approximately). 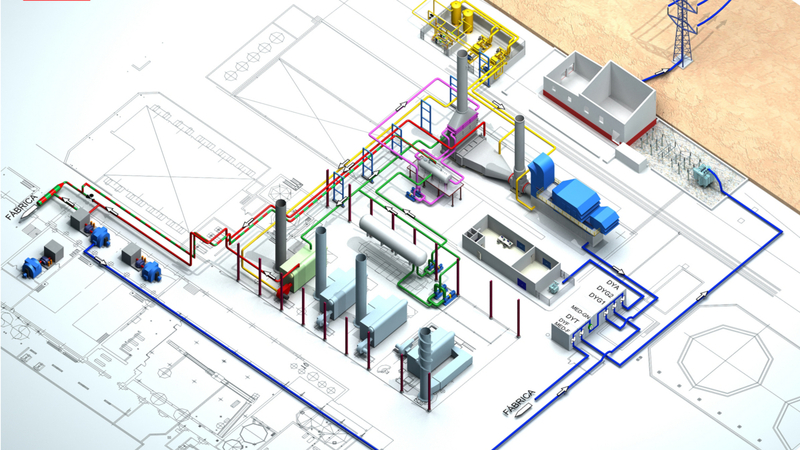 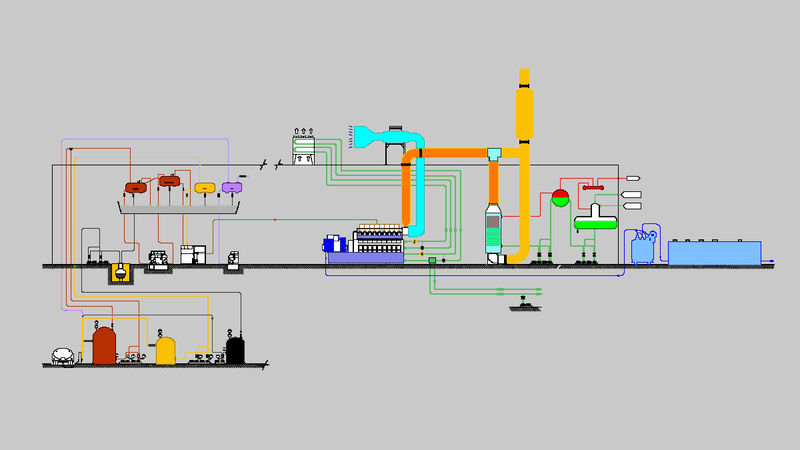 AESA developed the entire project, from the Basic Engineering to the commissioning of the plant.